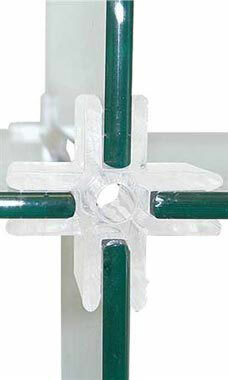 4-Way Clear Lexan Cube Clips for 3/16" Tempered Glass Panels are used to connect individual glass panels together to form a cube. Lexan Clips can also be used as replacements or to add additional cubes to any existing cube unit. Our Lexan Clips are virtually unnoticeable, creating a sophisticated and clean look that fit tightly onto glass panels for a secure fit.